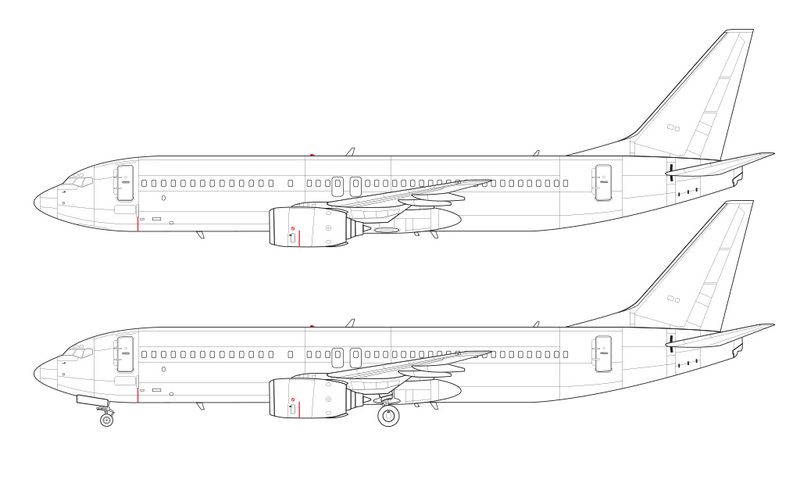 Right off the heels of my DC-10-30 blank template illustrations, I’m proud to say that I just finished blank templates of the Boeing 737-800! 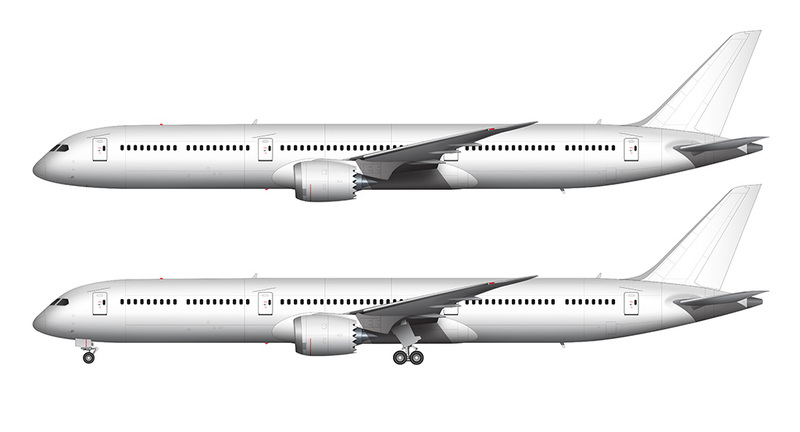 I was actually planning on doing the 777-200 next, but I’m currently working on an unrelated project where I need a drawing of a 737-800 – so there was a real need to make this set. Just like that DC-10 set, I made a wireframe drawing and an all white version of this 738 – both with winglets. 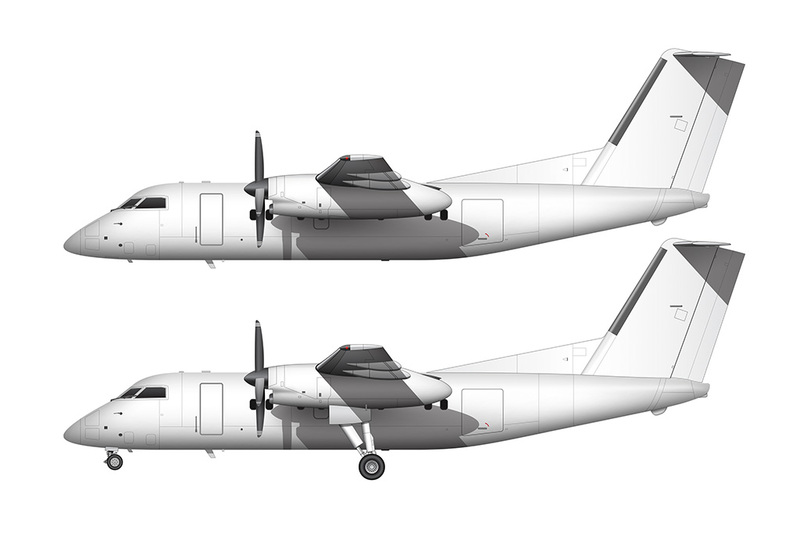 I’m going to hold off on doing a bare metal version for now, as I don’t need it and there are very few airlines these days with exposed-aluminum in their livery. Except for American Airlines – wow…they certainly have one of my favorite color schemes at the moment, but I’ll cross that bridge when I get to it. Bare metal is a very difficult texture to recreate! Are you planning to make a template of 737-800BCF? Actually, I didn’t even know that there was a BCF version of the 738. Interesting! Anyway, I’m in the process of redoing all of my 737 templates (to make them more consistent with one another) so I’ll definitely add the BCF as part of that project. Are you planning to make a template of 737-600 ? Yes, I have plans for that! 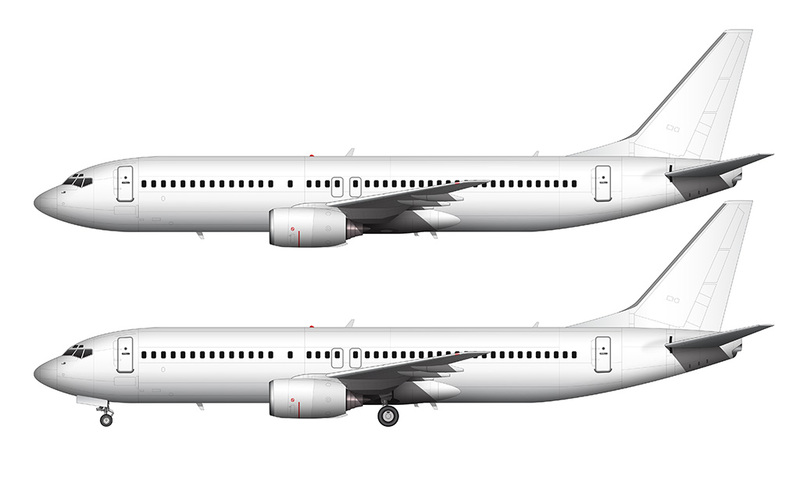 I’m in the process of re-doing all my 737 templates at the moment, so once I get those done it will allow me to create older versions such as the -600, -500, etc. That’s a good news !